Stylish simplicity! 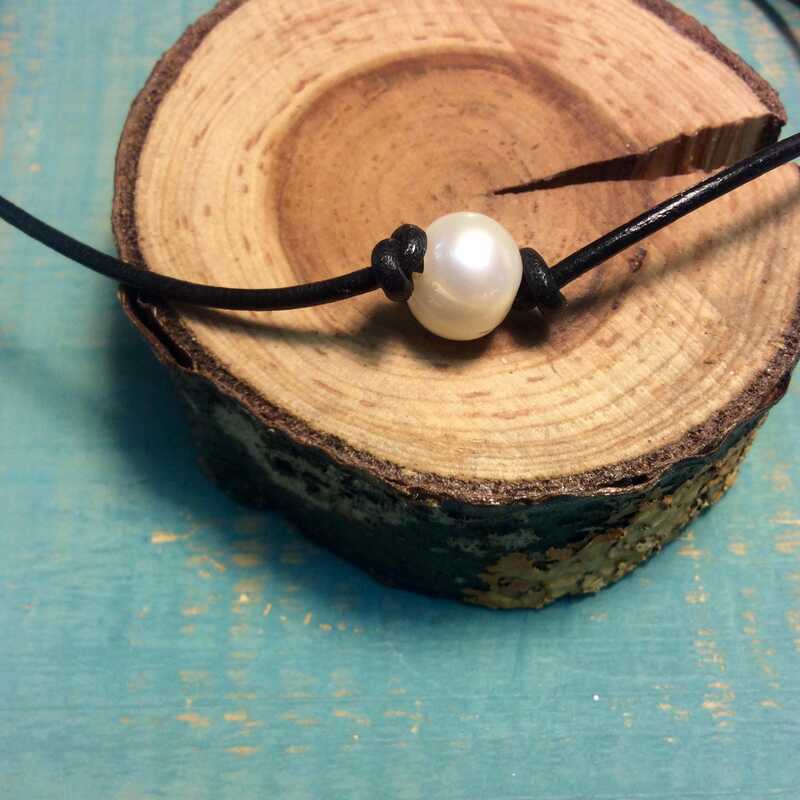 This handmade black leather choker necklace, adorned with a pretty white pearl, fastens with an adjustable copper clasp. 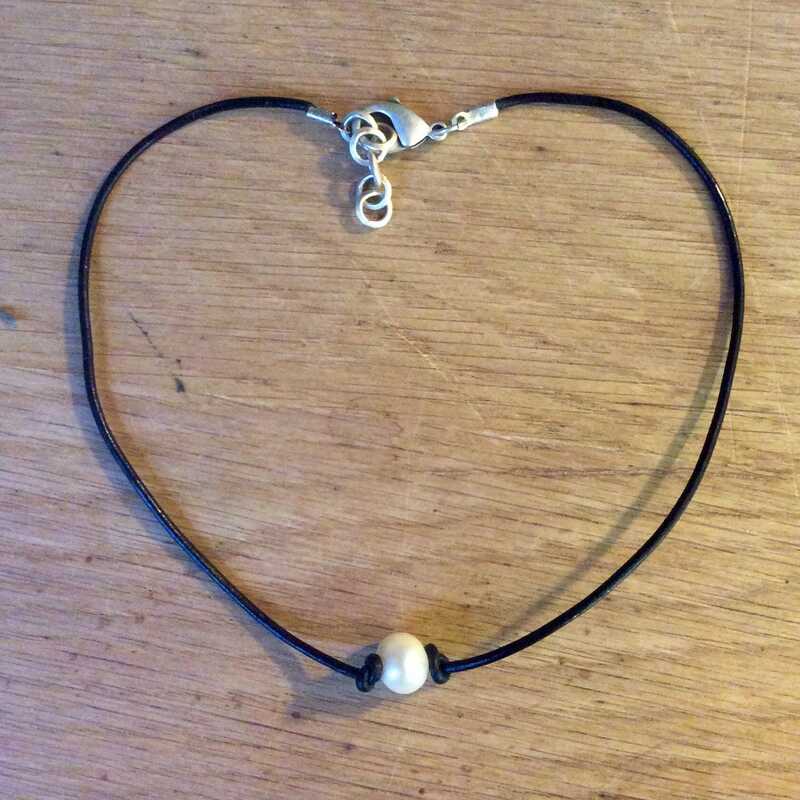 Can be ordered in various colors. I've always been inspired by my love of nature, whose lines are reflected in my jewelry designs. 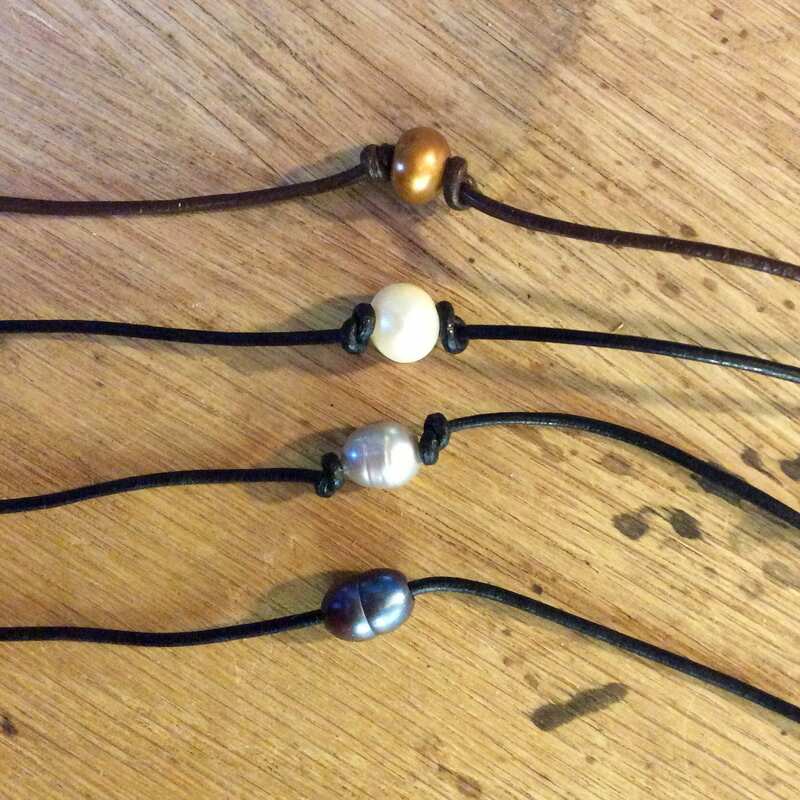 Many of my pieces are made with natural materials, so please keep in mind that colors and shapes may vary slightly. Each piece is signed, and silver items are marked sterling. Please allow 3 to 4 weeks for shipping as most of these items are made to order. 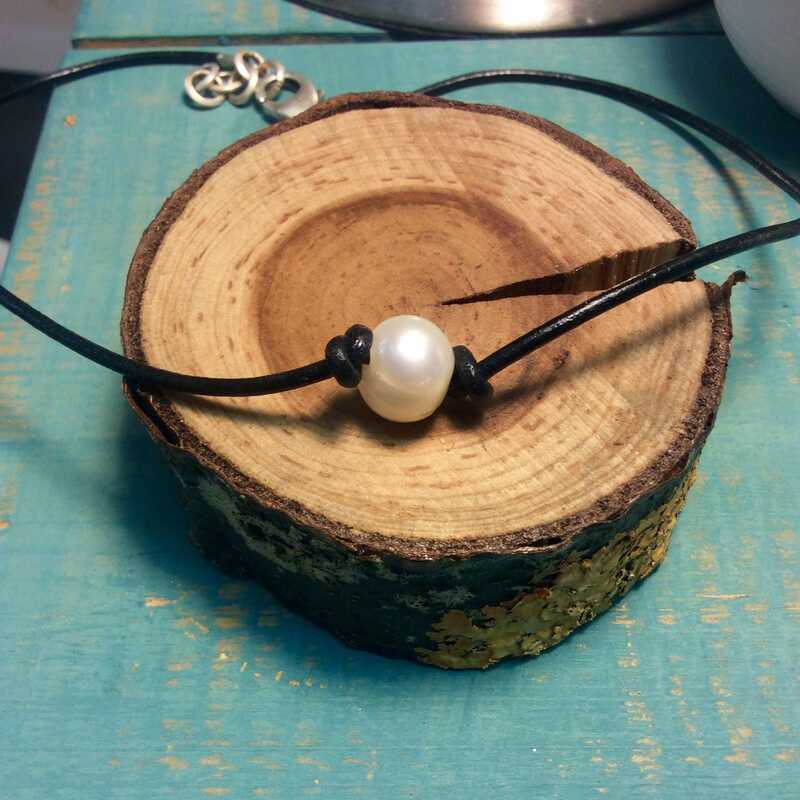 Pearl: The June birthstone, symbolizing purity. Copper: Regarded as a healing metal, with a place in many cultures. 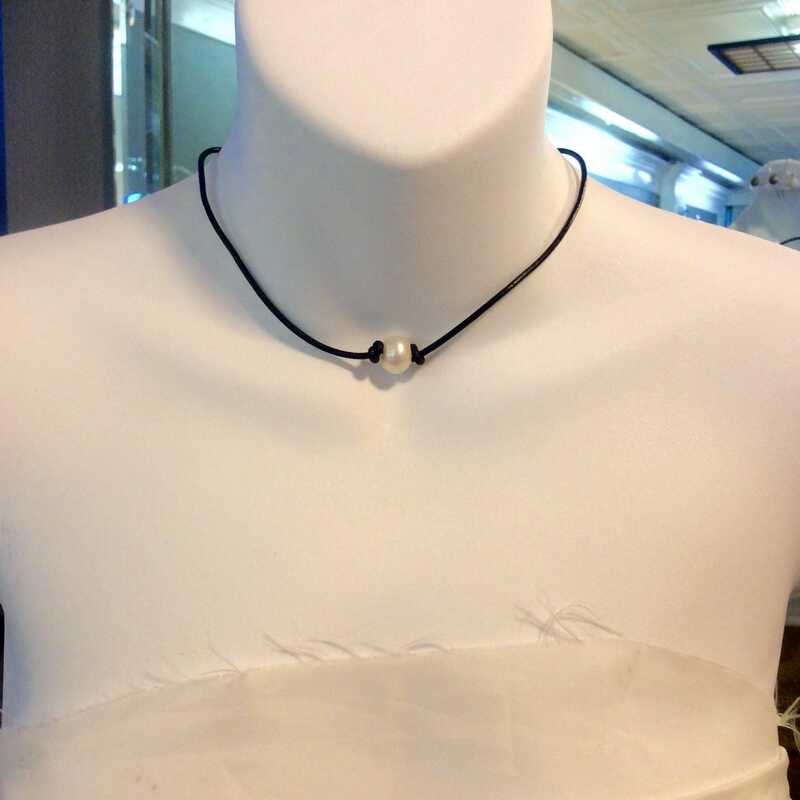 Lisa Scala’s handmade jewelry collections have delighted discerning customers for over 30 years. Reflecting her lifelong passion for art and natural beauty, her work holds a broad appeal. 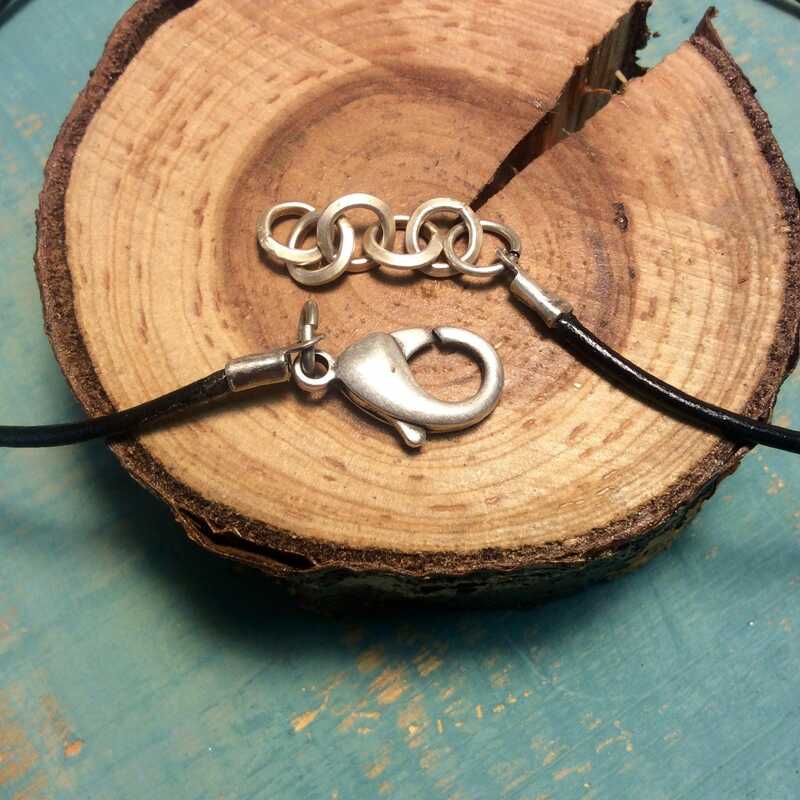 An experienced instructor, Lisa also teaches metalsmithing and jewelry-making classes. Lisa Scala's unique jewelry collections, including one-of-a-kind pieces, are available directly to the public. She creates her work and teaches jewelry design in her studio at the Scala Center in Georgetown, Massachusetts. Wed-Fri 11 a.m. to 6 p.m. Sat 11 a.m. to 5 p.m.
Sun 11 a.m. to 4 p.m.